This week we discovered one of the most exciting places for kids that we have found in a while. 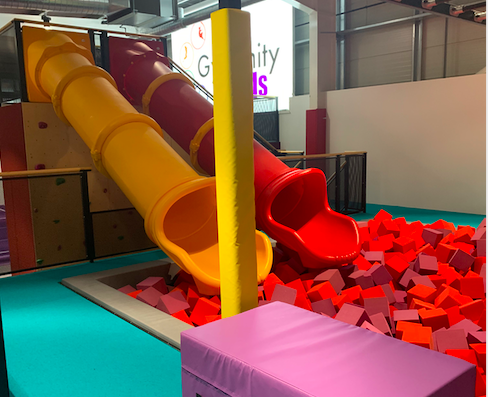 Gymfinity Kids has recently opened in Milton Keynes and were invited along to review. For a gymnastics membership club this is completely different to what you might usually expect. 100% focused on recreational gymnastics Gymfinity is all about kids having the best time. All I had to do to get Little Wiki dressed and waiting by the car was mention that he was going to Ninja class!!!! I had no idea what to expect, deliberately not reading too much about it in advance to avoid setting any expectations in the little guy. 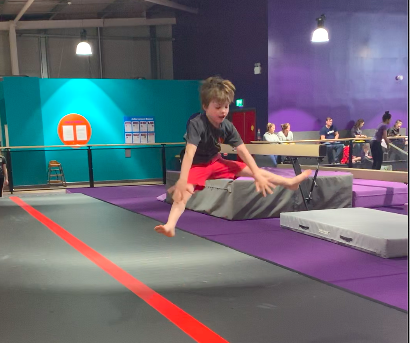 I wasn’t sure if this was martial arts or gymnastics or freestyle soft play fun, or something else entirely. On arrival we were greeted with huge friendly smiles by the reception team while I filled out a very short waiver form. Little Wiki was given a little introduction, a choice of two ninja T-shirts and we were ready to go. The gymnasium is epic. A huge arena style room 100% covered in soft bouncy flooring. The room is full of sparkling brand-new apparatus including beams, vaults, parallel bars, trampets, crash mats - all the usual and more that you might expect in a gym club. But this is a gym club with a twist. 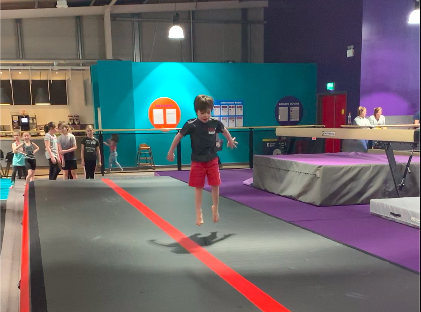 This club also has a Running Wall, two slides with a foam crash pit at the bottom, a climbing wall, a spinning hamster wheel type thing and an AMAZING ninja course running right down the whole of one side of the gymnasium. Now if you’re a mum from the 80s like my good self you might also be a hard-core gladiators fan, and if so you’re going to love this even more. The ninja course reminds me of "Hang Tough" with swinging rings hanging from the structure. Huge soft blocks much like the pugle podiums form a course with loads of soft play style blocks. Kids run and jump through, around, over and between these to reach the "hang tough" part. The running wall is not a travelator, but I'd say its looks equally as hard! It’s just amazing! "Contenders Ready!" 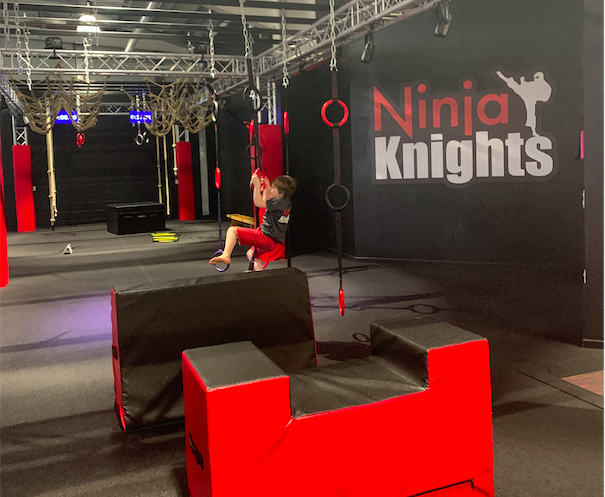 Each child is invited to take part in a free trial, and this class includes a mixture of both the Ninja Knights and gymnastics classes. 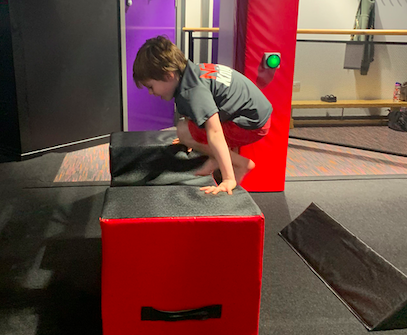 So not only did the little man get to climb the wall a few times (parkour style). He also practiced cart wheeling, forward rolls, straddle jumps, pikes and had many attempts at the Ninja course. I knew in my heart he was born a Ninja but the class instructor asked each child at the end which section they enjoyed the most and then made her recommendation. Little Wiki was assigned to the Junior Ninja class!!! #WINNING! Watch our video for a proper sense of the fun! Watch Now! For any parents of Ninjago fans out there, you’ll be with me in realising this news required a “Jump up - kick back - whip around and spin”!! And now he can't wait to get started in the next few weeks! As a new club there are still spaces in their classes but they are going really fast so don’t hang around if you want to get a time of your choice. There were so many things that I loved about this club but also the Gymfinity Kids approach as a whole. They are inclusive of all children of all abilities and skill levels, no child is turned away. They are also very keen to promote a healthy attitude towards health and fitness. They do not airbrush any of their marketing material, and as such do not reinforce old hat stereotypes of what a gymnast should be or look like. This is a company whose soul focus is to encourage core strength and to build confidence and skill within a fun learning environment. This is not elite gymnastics. So although I am sure there is some healthy competition between the members, overall they’re all there to have a great time and burn off some pent up energy. And don’t think that it’s only the kids that get all the fun - there are adults classes too!!! I had to control my inner gladiator urges and stop myself from getting my Ninja on right there and then! Just looking at the parallel bars took me right back to my gymnastic days as a child. Since having kids I’ve been the furthest from “Ninja” imaginable but this has really tempted me I must say. I’ll forgo the leotard just for the time being though. That said Mamas...There’s also a class for our really little ones that we can enjoy with them. They hold a FREE baby balance class every Monday which is a mixture of music, movement and sensory play that encourages balance, strength, mobility and sensory awareness in our littluns!! It’s also a chance to meet new mamas and have a chat! I can't wait to go to go along to this... who wants to join me? Milton Keynes has a great break out area for parties, and a lovely new cafe just opened this week serving snacks and hot/ cold drinks. There is a relaxed viewing area with tables you can work from or more comfortable seating to also enjoy a coffee. There is also a terraced viewing space a bit further around so that you can watch your little ones without distraction. 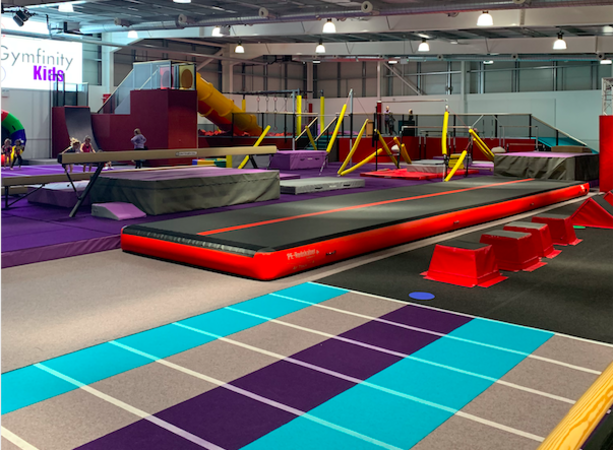 There are six Gymfinity locations across the country in total, with Cambridge and Milton Keynes being the newest to open. But I can see these springing up everywhere. Classes are from £5.99 and you pay your membership monthly. There’s also a £30 sign up fee at the point of joining and each year on your renewal date. 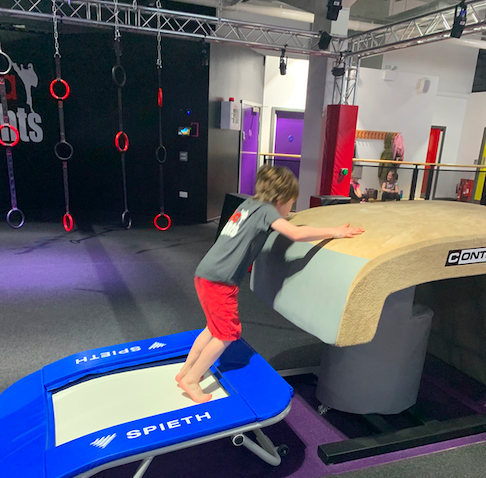 Definitely get you and your little ninjas along to your nearest Gymfinity Kids for a free trial... you won’t be disappointed... and please share your reviews with us here!! See their page listing and the Gymfinity site for all class details and times.